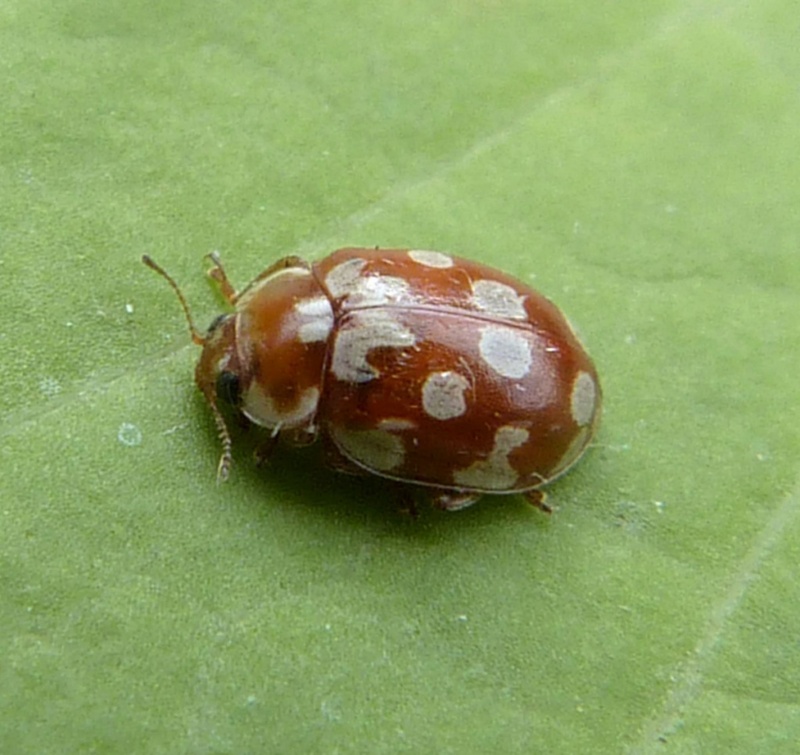 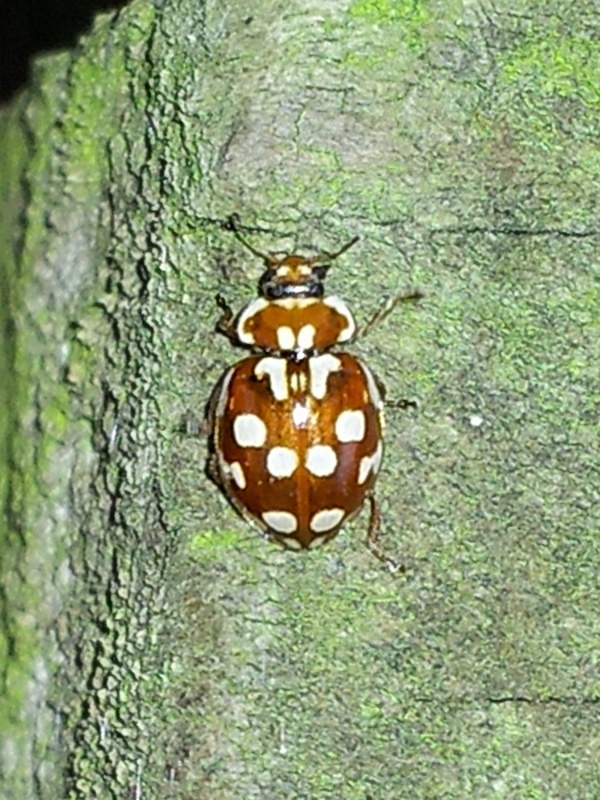 The 18-spot Ladybird is a fairly small species. 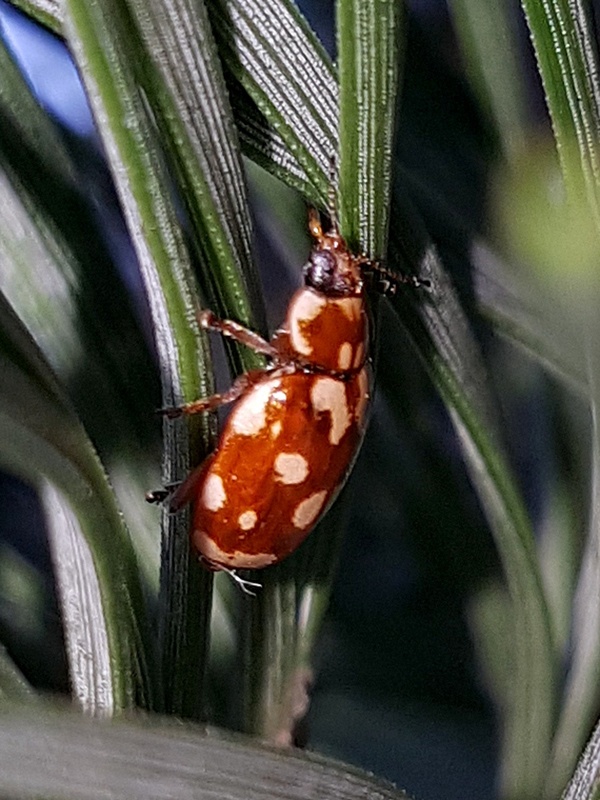 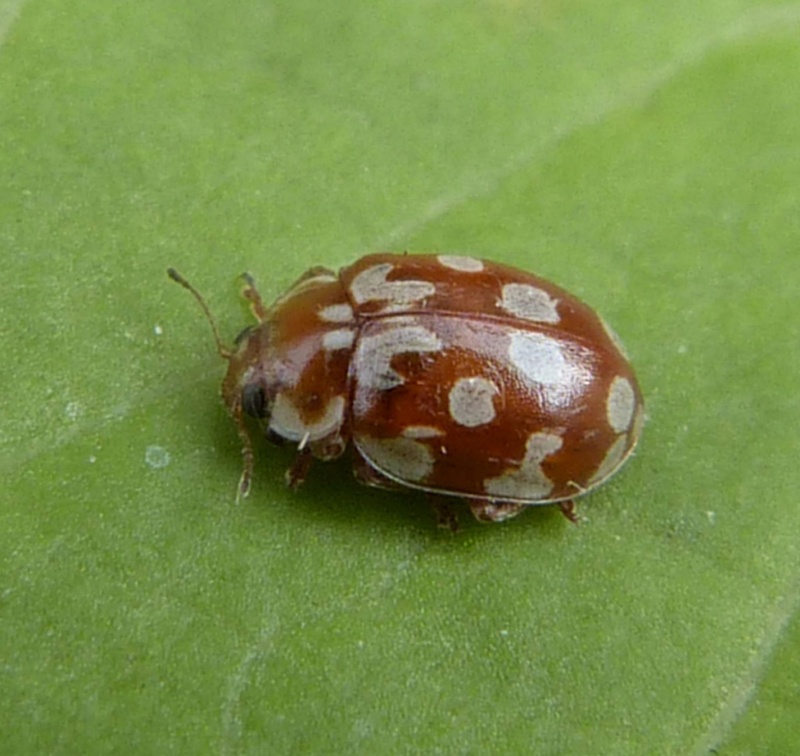 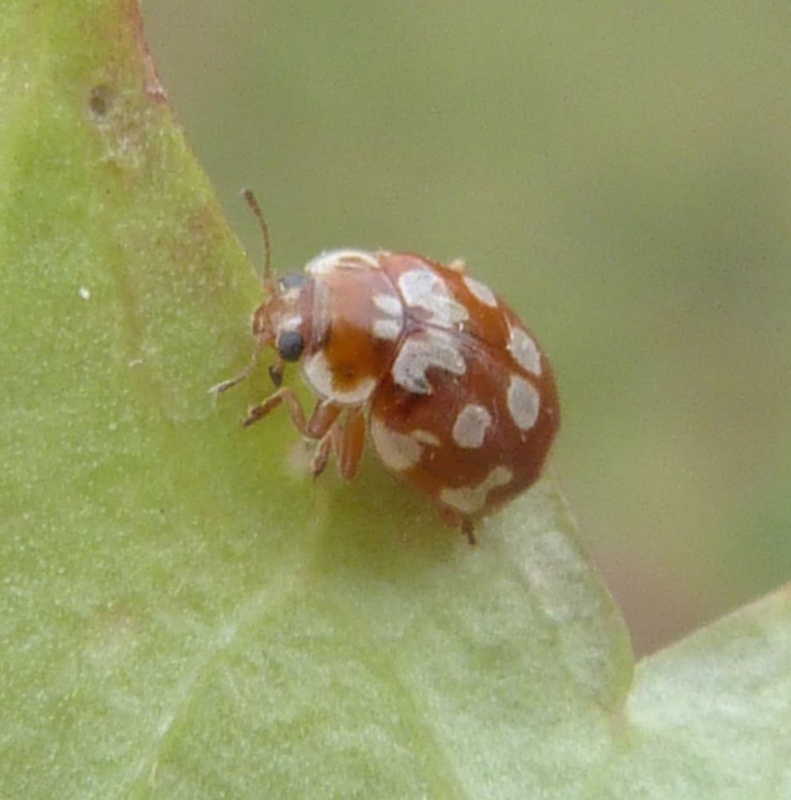 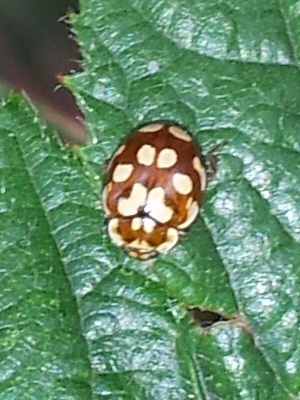 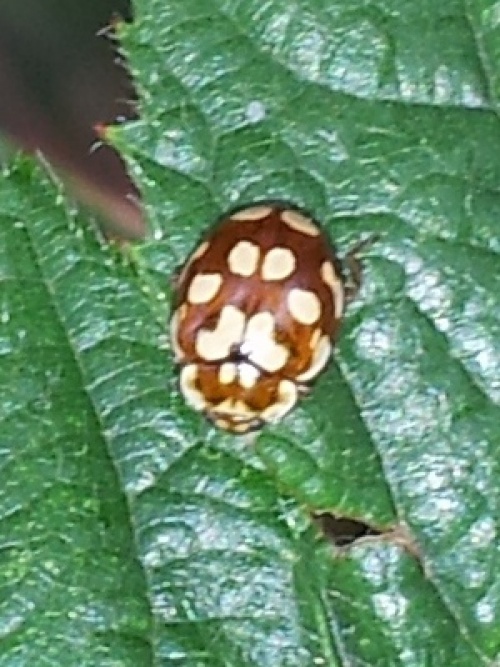 The background colouration is a rich brown (Cream-spot Ladybird is slightly darker and a larger insect). ID can be clinched by the rounded 'M' mark on the Pronotum. A tree dweller, showing a preference for the tops of Scots Pines. 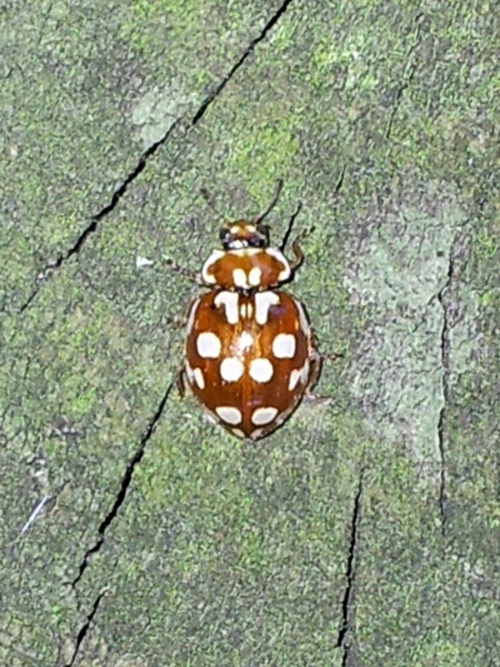 Can be encountered in most months. Widespread in Britain, but occasional and rather local in occurrence. 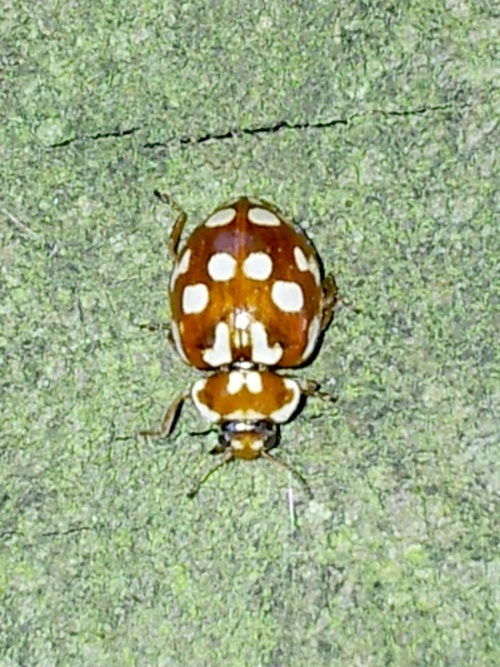 Occasional and local in Leicestershire and Rutland. 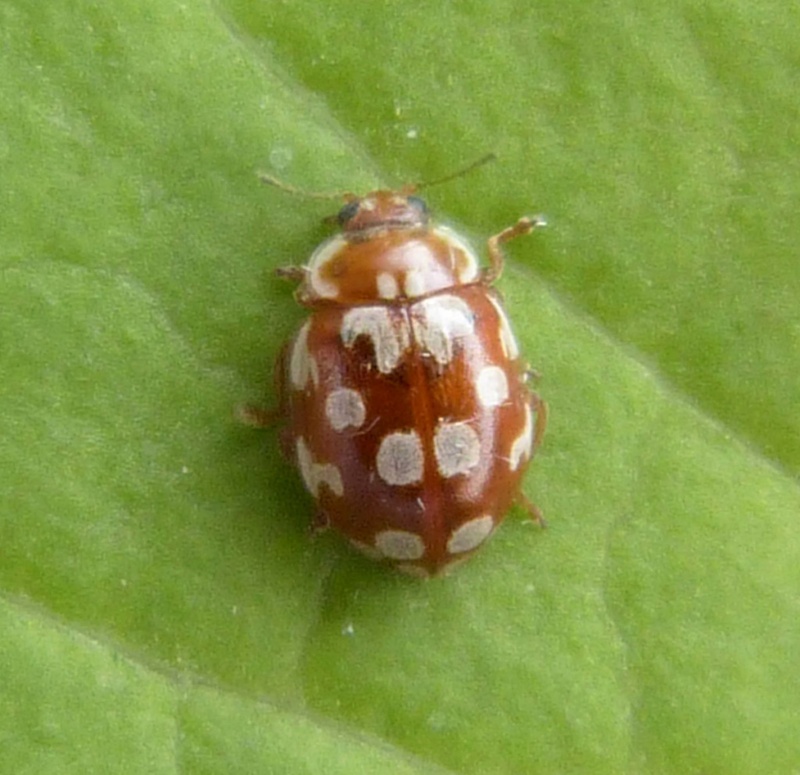 There were approximately 17 VC55 records for this species up to March 2015.